Two local W.R. Myers rugby products are making their way to U18 provincial teams that are competing at western nationals. Alex Haller will be playing scrumhalf (No. 9). Haller made a regional south team nearly two months ago, competing against the likes of Calgary, Edmonton and a central team. Dani Wright will be playing her flanker position on her provincial U18 team she qualified for, as two teams of 24 are competing. Haller and Wright leave for western nationals today in Winnipeg, which go from Aug. 9-12. 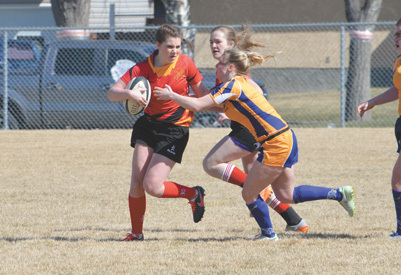 Haller is going into Grade 12 in the fall, where western nationals will be a solid stepping stone for her to add veteran leadership in the 2019 version of the W.R. Myers Rebels varsity girls rugby team.